The leg magic is short of amazing with leg workouts for women like you to slim down hard to get areas such as your thighs attacking your adductors where it hurts. You may have hear of the leg training machine - Leg Magic - for your home and how in just minutes a day you can get your hands on slimmer more beautiful legs training you inner thighs. Featured on As Seen On TV and the Internet, many people who can't get enough have become proud owners of this leg slimming device. Looking at all the leg workouts for women out in the market, the exercises you can do just boy jumping on the leg magic make the list of lateral thigh trainer exercises you can do in minutes without breaking a sweat to slim down your legs. Whether you are looking for a circle glide leg magic or just the beset leg exercises to train your adductors this machine does the trick. If you are one of the lucky people seeking out inner thigh exercises who have bought this machine without knowing the benefits beyond getting slimmer sexier legs, then you are in the right place because we are going to discuss what Legmagic is and what it isn't. That's right! – This episode of Slism is we are going to talk about how you can use this simple device to slim down your waist, build a better hip line, and shape up your legs all in your own home by working your adductor muscles to keep from getting bowlegged while giving you sound advice on what not to do with the Leg Magic. Leg Magic simply put is a piece of exercise equipment where you shutter your legs opening and closing from a standing position. By isolating your legs at your center of gravity at around a bar it allows you to efficiently target areas of your legs that would otherwise be untouchable without repute concentration. The best part about the Legmagic is that all you need is 60 seconds per day to really shape up your legs giving your figure a makeover from the waist down slimming down your stomach reshaping your hips without the need of risky hard training regimens that become complex as you advance. With the Legmagic all you need is to keep doing these simple movements. At the core of why many women fail at reaching their diet and exercise goals picking up where they left of diet is often caused by not using the muscles of your inner thigh, your adductors, giving your legs a drooping feel not something you want on days you want to wear short pants on sunny days when you just have no choice. By training the muscles in your inner thigh you build better support around your hips essential in maintaining good posture and remaining unaffected by pelvic distortion over time. In particular, keeping your adductor muscles in your thighs (Adductor brevis, adductor longus, and adductor magnus) strong is known to keep your legs from becoming bowed. The major highlight of using the Leg Magic system is that it allows you to effectively train your adductor muscles safely in your living room. In addition working the muscles in your inner thigh region, it helps with building correct posture as well as preventing pelvic distortion from becoming a problem before you are 80. That's why as you work to slim-down your legs and shave inches of the waist, you are benefiting your lifelong health. Just by training your adductor muscles with the Leg Magic system or any other exercise do you improve circulation in your legs. In particular, there is a considerable amount of blood and lymph flow that makes its way to your thighs, which is exactly why it is easy to put on subcutaneous fat in this area of the body. In addition to holding your legs and thighs in position with respect to your pelvis, the adductor muscles play an important role in circulation acting as a pump between the extremities in your lower body and your heart. As a result, people with weak adductor muscles have been shown to have poor circulation in their legs, more than enough reason to start working your adductors today. Now you see know why adductor training is so important to allowing smooth flow of blood from your heart to your toes and back. 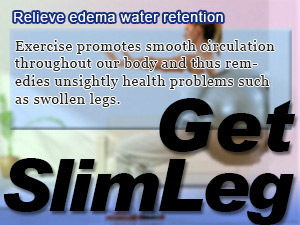 Now that you have the circulation in your legs under control you can expect to not be troubled by swollen legs, edema caused water retention as much and yes… no more cellulite turning up around your body. Is It Even Possible To Get Slim Legs In Only A Minute? As you are aware using the leg magic system does wonders for your legs helping you get a slimmer sexier body line while burning calories. On the other hand, is training your legs for 60 seconds a day really going to cut it? Exercising your body for any amount of time is better than nothing. However practically speaking you are going to want to do much more. It's recommended that you jump on the leg magic at least 3 times a day for best results. If you want the effects of the leg magic system to work making your legs more beautiful than before, continue training everyday doing at least 3 sets of 60 seconds intervals to boost the results you see over time. This will guarantee better results while making a dent in your daily calorie balance making you hungrier to succeed. What you take out of the leg magic is that for people looking to get results while demanding less time from their day it is an excellent training method in that respect. The only con to the leg magic system is that it's so simple that people often get tired of it fast moving on to bigger and better things, something that arouses more interest. In the short turn you are not going to see a result fast, which creates a problem for those battling boredom and trying to make the best out of this magical leg training system. It's important that you turn training with this piece of workout equipment like any other diet and fitness product into a habit, something you are willing to bet your legs on when it comes time for weigh-ins. Be ever patient exercising every day until you fitness questions are answered by your hard work and perseverance. At first glimpse you might have thought you were in for the deal of your life. When could be better than being able to get great legs in less than a faction of the time others are spending going to the gym and paying trainers to tell them how they can step up their game while continuing the journey of the gym dollar after dollar. As much as you would like to hear that it's that easy, keep in mind that if it were everyone would have great legs and there would be no need to build such a contraption just so you can train your adductor muscle while enjoying your favorite sitcom that beats wasting away on the couch. Give it time always keeping in mind that what matters the most is going at your own pace to so that you can make it through with flying colors and the feeling of sweet written across your face. It's just a matter of time. You can do it. Are bow legs starting to cause your legs to turn O-shaped taking its toll on your body? Learn how to start saying no to deformation in your legs, stop hiding your legs, and be free. Bike training has been around since the first bicycle. On the other hand, there are people like you and me that prefer the inside. That’s the beauty of indoor cycling. When it comes to exercises women do to slim down their figure your thighs take the pie. Know thy enemy and get slimmer legs fast. Like human pressure points works in triggering emotion the weight of your diet rests on you having strong adductors muscles. Exercise promotes smooth circulation throughout our body and thus remedies unsightly health problems such as swollen legs.